WeDpro has launched a new project, appropriately named “3 Islands,” in the three island Barangays of Culasi (Maniguin, Malalison, and Batbatan), with support from Australian Aid through the Philippines Australia Community Assistance Program (PACAP). Project work includes the construction of a 70-foot Emergency Ambulance boat that will service the three islands. 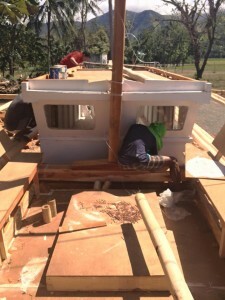 Photos of the in-progress boat construction are now up on our Facebook page. More information about “Project 3 Islands” – and more photos – coming soon!